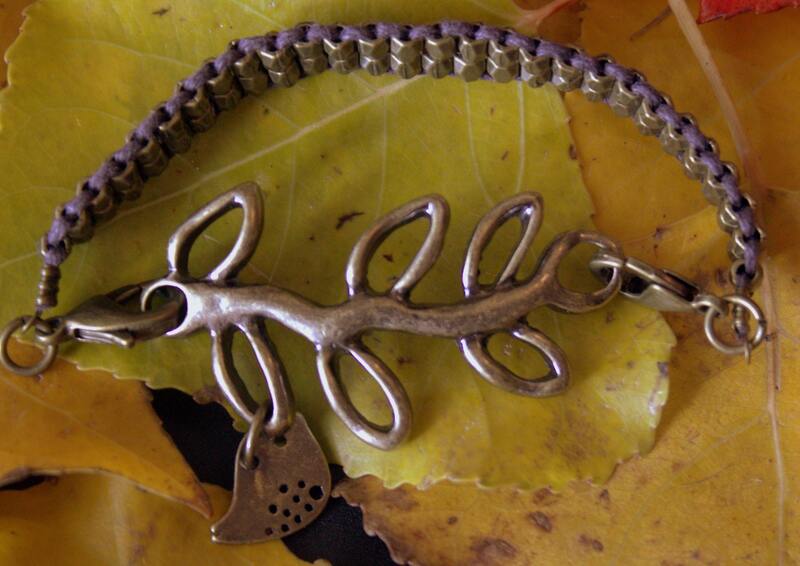 This bracelet is made with a cast brass branch and has a chubby little bird charm. It is attached to a double row of small brass beads woven in right angle weave and is attached with a lobster claw clasp. The bracelet fits most average sized wrists 7 1/2".